Professor Ir. 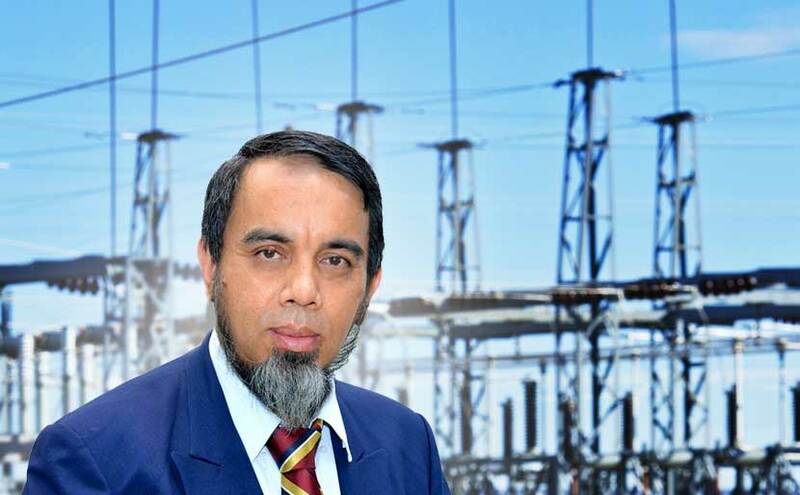 Dr. Mohd Wazir Mustafa is well known as the Professor in Power System. Power system engineering is a sub-discipline of electrical engineering and pertains to generating, transmitting, distributing and utilizing electrical power while also catering to the devices (electrical), which are used in electrical processes; generators, motors and transformers. Professor Mohd Wazir also has published more than 300 technical papers in international proceedings and journals with SCOPUS H-index is 29. Professor Mohd Wazir research interest includes Smart Grid, Distributed Generation, Sustainable Energy, Regulated & Deregulated Power System, Renewable Energy, Power System Analysis, Power System Devices and Apparatus, Power Quality, Power System Protection, etc. Mohd Wazir Mustafa obtained his Bachelor of Engineering (Hons) Electrical & Electronics, MSc (Electrical Power Engineering) and Doctor of Philosophy (Electrical Power) from University of Strathclyde, Glasgow in 1988, 1993 and 1997 respectively. He started his academic career as a Lecturer in 1997 after getting his MSc and PhD. Later in June 2000 he has been promoted as an Associate Professor and followed by Professor in the year 2012. He was appointed as the Head of Department (Postgraduate Studies) in 2006 and Head of Department (Electrical Power Engineering) in 2008 at the Faculty of Electrical Engineering. Due to his great contributions and experiences in dealing with Graduate Studies, he was appointed as a Deputy Dean (Research & Graduate Studies) in 2010. Recently, starting July 2018 for the UTM new restructuring Synergy 4.0, he has been appointed as the Chair, School of Electrical Engineering, Faculty of Engineering, Universiti Teknologi Malaysia.